over already? We’re in disbelief and we’re sure you are in disbelief as well. But we’ve got you covered. 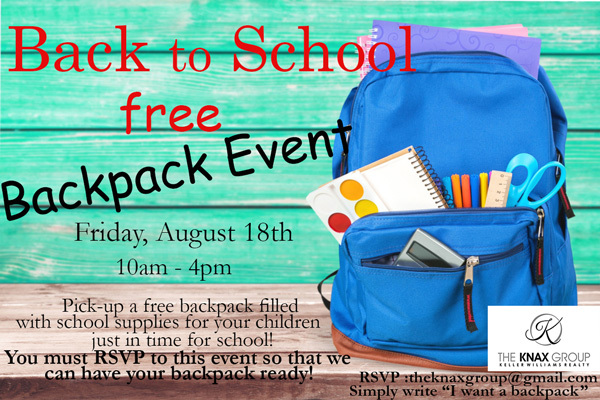 RSVP to theknaxgroup@gmail.com if you would like a free bookbag filled with supplies. You must pick up your bookbag on Friday, August 18th between the hours of 10am-4pm at our University office.